Male has a blue face and a very bright yellow body. Females are cream with brown stripes and may or .. 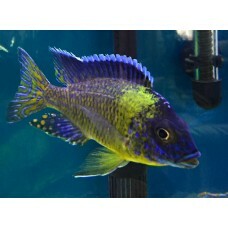 Lemon Jake males have a blue body with bright yellow along the edges. 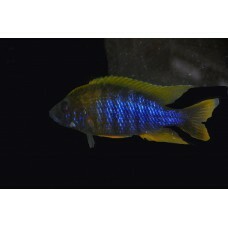 Their fins and tail are y..
Aulonocara Maulana Bi-Color males are blue with a yellow shoulder. They also have darker blue stripe.. Males are a Dark-blue with yellow on the top of their head. 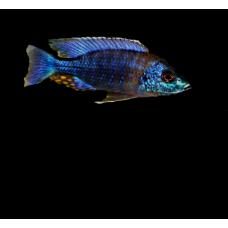 Some males may develop a wider brig..
Aulonocara Lwanda males are blue with yellow shoulders and yellow/ orange on their dorsal fin. They .. 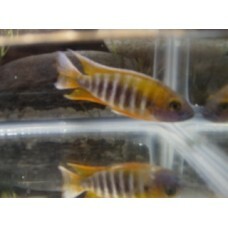 Males are yellow with blue on the lower face. 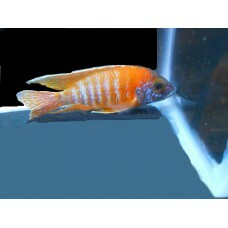 Orange may appear on their tail and upper rear dorsal ..
Turkis is an Aulonocara mutation developed originally in Germany. 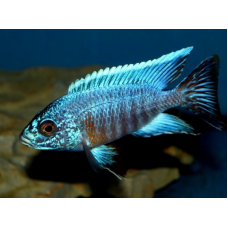 Males are light blue and tur..
Aulonocara stuartgranti Blue Neon (Chiwindi) males have a blue face with yellow on their body. Faint.. 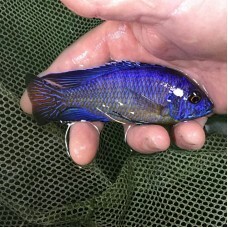 Males are bright blue with yellow/ along the lower body. The tail is blue with yellow lines mixed wi.. 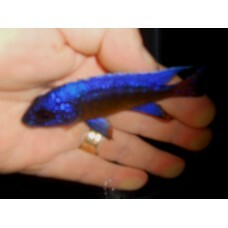 Males are blue with red or reddish orange on the body and tail. 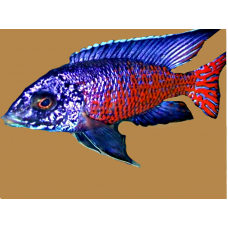 These fish are very slow to col..
Aulonocara stuartgranti Madoka (Flame Tail) is the least common of the flame tail peacocks in the ho.. Males develop a blue-green face. Their face gets more green with age. The body is blue with an orang.. 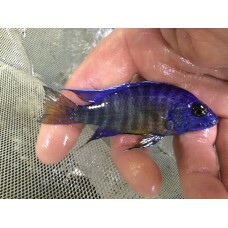 Males are blue with some yellow on the lower body and yellow on the tail. This fish is sometimes ref..